Want to know more about ‘Heritage with HYPE’? Could your school or youth club benefit from HYPE’s educational local heritage programme? An expansion of HYPE’s successful heritage programme, designed to engage young people with local history. Available as a school day-trip package or shorter sessions for youth groups- encourage your young people to be proud of where they live! 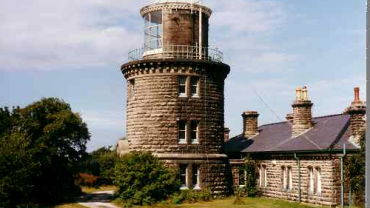 Following the success of HYPE’s Leasowe Lighthouse and Birkenhead Park Grand Entrance projects HYPE are expanding our educational provision to include other local heritage venues. If you’re a local school or youth group interested in our Heritage with HYPE initiative, please get in touch via our contact page. ‘Heritage with HYPE’ is an innovative project, aimed at re-engaging young people with their local heritage. HYPE will provide local young people with the opportunity to increase their knowledge of local history, by engaging with Grade 1 and 2 listed venues across Merseyside. These 6 ‘heritage hotspots’ have been selected because of their key historical significance to the local area, and the stories they inspire. Many of these sites will provide young participants with a basic understanding of Maritime History, the Victorian Era and the Industrial Revolution. 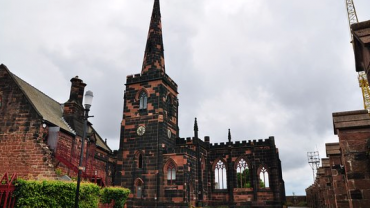 The project seeks to educate Wirral residents on their own local history, and to support the continued maintenance of ‘heritage hotspots’ on the Wirral. By educating young people, HYPE aim for this knowledge and interest to filter through families and wider communities. By engaging various groups of young people, the project will enable them to produce inspired artwork, poetry, stories and photographs, that will be put on public display for all sections of the local community to learn from and enjoy. Visit to site- HYPE will host a visit to one of our 6 ‘heritage hotspots.’ Each young person will receive a workbook on arrival. Interactive guided tour- HYPE’s qualified youth workers will deliver factual and engaging tours around the site. There will be ample opportunity for group discussion, questions, and to meet the teams that maintain the site. Follow-up workshop- on arrival back on site HYPE will deliver an engaging workshop based around what the young people have learnt so far. Young people will break-out to complete group work, and come together to present to their peers at the end. Creativity is encouraged and there is potential for producing inspired role-play, artwork, and poetry. Presentation and exhibition- Young people will have the chance to present their ideas to their peers. HYPE would love to bring together all the work produced, and host a public display to be shared with the young people, their peers, families and the wider local community. If you are interested in our Heritage package, please get in touch via our email.